The number of Negosyo Centers serving micro, small and medium enterprises (MSME) all over the country has increased from 144 in 2015 to 447 in 2016. According to the DTI website, this is a manifestation of the Department of Trade and Industry’s intensifying support to the growing number of MSMEs nationwide.. In 2016, 298 new centers were put up. Through Negosyo Centers, DTI has assisted a total of 491,314 clients and conducted over 6,000 seminars for MSMEs and aspiring start-ups. According to the website, Negosyo Centers also created over 41,000 new MSMEs. There were 213,092 clients served from July to November 2016 alone. “An entrepreneurial nation is what will give the Philippines a good chance towards economic prosperity. Negosyo Centers are people’s partners towards inclusive growth. This is part of the government’s commitment to encourage entrepreneurship among ordinary Filipinos,” said DTI Secretary Ramon Lopez. 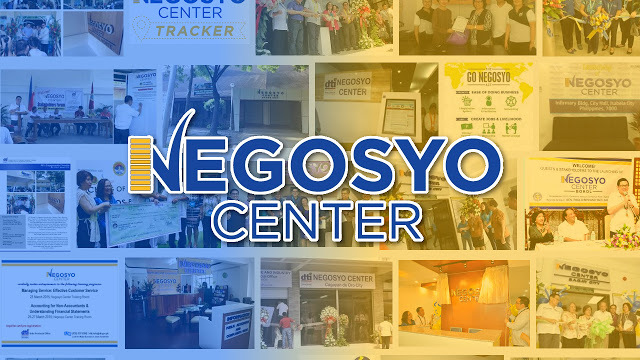 As infrastructures of entrepreneurship, Negosyo Centers provide efficient services to MSMEs across the archipelago. These services include making available business mentoring services and providing information on market and access to money. These Centers are expected to bring in business opportunities to communities and MSMEs and contribute to countryside development. DTI, according to the website, has placed MSME development at the center of the trade agenda. The sector is composed of 99.6% of locally registered businesses, generating over one million jobs each year.